We've all gained a few pounds over the years. I remember back in 2007 I could fit into my Mankini without a problem and sit and play Halo 3 all day long with 3 of my co-op buddies - not anymore. However, from October 16th you can recreate this scene yourself as Halo 3 goes free as part of Games with Gold on the Xbox 360. Comparing Games with Gold with Playstation Plus is like comparing the latest Ferrari with the old Ford Mondeo I had to scrap. One provides triple A titles from the previous year or so, the other provides games that are old enough to have entered the Hall of Fame. Despite the age of Halo 3, it still remains one of the better games in the cannon, it even predates a Co-Optimus review; let's give it 4 Grandad Billy's out of 5. 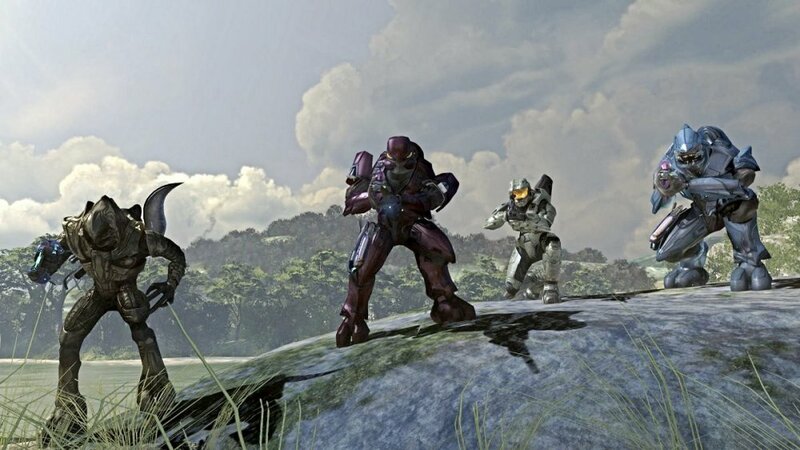 What you do get is a 2 player local co-op game/4 player online co-op game that provides Halo thrills before they started to grow a little stale. If you cannot wait until the 16th for a free game, the none co-op Might & Magic: Clash of Heroes is available until then. Just remember that you need to have a valid Gold membership to Xbox Live to be have free access either of these games.